The Vortex Hammers are delighted to welcome Lewis Kerr to the Arena Essex Raceway for the 2016 season. Kerr has been a stand out star of the Draft system and joins the Hammers from parent club King’s Lynn, who had initially indicated they would be using him but have been unable to due to clashes of fixtures. 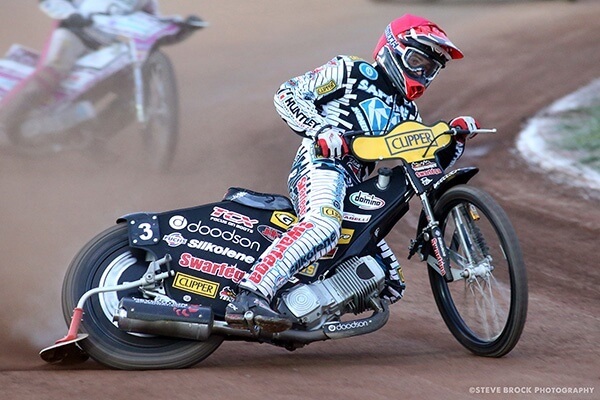 “This really is terrific news for the Club and we’re very much looking forward to working with Lewis and the Revolution Speedway Team for whom he is a factory rider. I’ve already been extremely impressed dealing with Lewis and Rob from Revolution. To bring him in now means we will have to remodel the team slightly and that’s a task we’re happy to do to have such a talent in such a prominent team position.